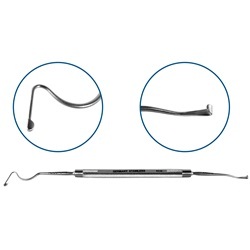 Double-ended, small retractor blade, 2.5mm wide, muscle hook/lens expressor tip. Round handle. 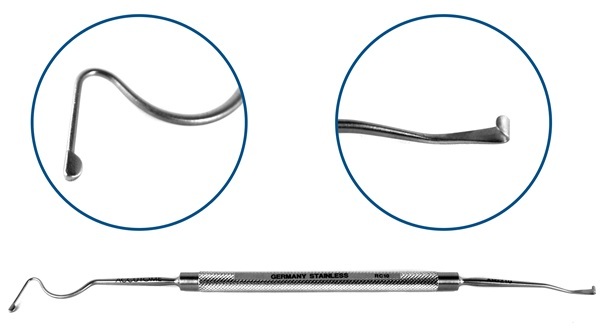 Overall length: 147mm.